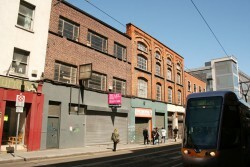 Seomra Spraoi is a large and vibrant social centre, just off Capel St in Dublin. It is used by small campaign and informal groups for meetings, workshops and is also a place where arts, crafts and children's activities take place. For a community of people engaged in seeking positive social change, it is a point of contact, a source of resources and information and a base for skills and knowledge sharing. Recently, the gardai have succeeded in having the place temporarily shut down, presenting the collective that runs the centre with a complex legal and bureaucratic situation. Maybe you can be of some assistance. The Seomra Spraoi collective was started three years ago with the explicit intention of setting up an autonomous social centre. It was agreed from the start that we would be strictly non-commercial/non-profit and would organise non-hierarchically. Everyone involved in the collective and in running the social centre has an equal say. Those who work and organise in the space make a voluntary contribution of time and energy. Rent and other running costs are funded entirely from voluntary contributions made by individuals and groups who use the space or support the project. Since our humble beginnings, hosting activities at the St. Nicolas of Myra community hall on Francis St, we have occupied three different spaces of our own, each bigger than the previous one. Our move to 4 Mary’s Abbey in July 2007 saw a huge surge in activity and an expansion of the collective. The two-storey rented space boasts eight rooms, which are used for meetings, workshops, benefit evenings and meals, a library, internet access, craft activities, bicycle workshops, self-defence training, table tennis and pool: the list goes on. 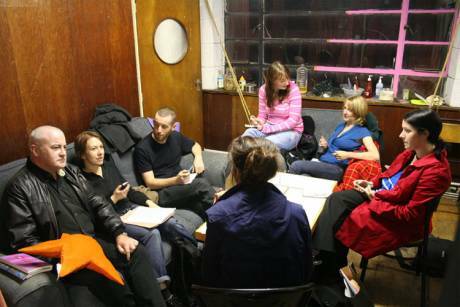 The collective is now highly organised, with a pool of around 30 people managing the social centre, via working groups, and a weekly open meeting of the collective. The project was a reaction to a city more and more dominated by commerce, capitalism and cars; a city with less and less community space, fewer places for young people to go, fewer non-commercial spaces; a city with a growing number expensive cafes and bars and vast shopping centres in which the favoured activity is spending money. Ultimately, we hoped to rebuild some of the things that have been lost to us in the age of neoliberalism: a sense of community, an atmosphere of tolerance and respect, a positive environment. Our aims were not only to find a space in which to establish a social centre, but also to be a working example of, and support for, the idea of more non-commercial and non-hierarchical spaces in the city. We strive to raise awareness of related issues, such as property speculation and profit-driven development resulting in millions of square feet of disused buildings and a reduction of community spaces. Ultimately our goal is to inspire communities, groups and people all over Dublin and beyond to set up their own autonomous spaces. We believe that it is empowering and positive to step outside the culture of consumerism and dependency in which we are socialised and to realise that we don't have to wait for governments, employers, or commercial interests to provide facilities for us. In the days that followed we learned that the Garda had submitted a report to the Dublin City Council Planning Authority describing us as some sort of an illegal night club. We are ready to take responsibility for what actually happened on that Friday night, but we strongly deny these accusations. We are all too aware that a DIY project like ours represents an anomaly in this town. Perhaps the authorities are finding it hard to define us, maybe they just can’t understand why people would ever invest their time and energy in something that does not generate profit. But these things happen! Eight days later, on the evening of Saturday, December 1st, the building was shut down without warning by gardai and fire inspectors on fire safety grounds. We did not oppose this in any way, as it is our priority to ensure that the space is safe. We operate on the basis of a very clear ‘positive and safer space policy’ and believe that all necessary measures should be taken to ensure the safety of all users of the space. However, we find the timing and nature of this operation to be highly unorthodox (three or four fire officers, accompanied by around 10 gardai, arrived without warning on a Saturday evening - no event was taking place at the time). We would have been happy to discuss with the authorities any health and safety issue concerning the building at any time, but rather than contacting us or clarifying their concerns, they stormed into the space and shut us down. We have begun an in-depth analysis of fire safety issues. Every effort is being made to ensure the building is safe and in line with safety regulations. We have sought professional advice and are in contact with the landlord, the Dublin Planning Authority, the Fire Brigade, and the Garda. We are willing to cooperate in any form necessary to ensure that the premises is safe. We have taken the first steps following consultation with a fire safety consultant. The current status of the building is somewhat unclear, no fire notice seems to have been issued (we were refused a copy of such notification on the basis that there is no one person in charge to give it to). However, the Garda warned us that if we re-entered the building we would be arrested. Since then we have received contradictory information on this point. We are finding it difficult to work our way through the complex web of bureaucracy, without employing expensive professionals to liaise on our behalf. This exposes a common gap which prevents communities from organising themselves and creating community spaces without state authority or private funding, in other words, without support from the powerful and the rich. We are also experiencing barriers in communication with the Garda and other authorities because of the way in which we organise as a collective. There is a continual pressure upon us to nominate a leader, and our refusal to subvert our egalitarian structure and democratic principals has left us in a position of disadvantage. The problems we now face highlight certain inadequacies in our state system and society – inadequacies that Seomra Spraoi initially set out to challenge. 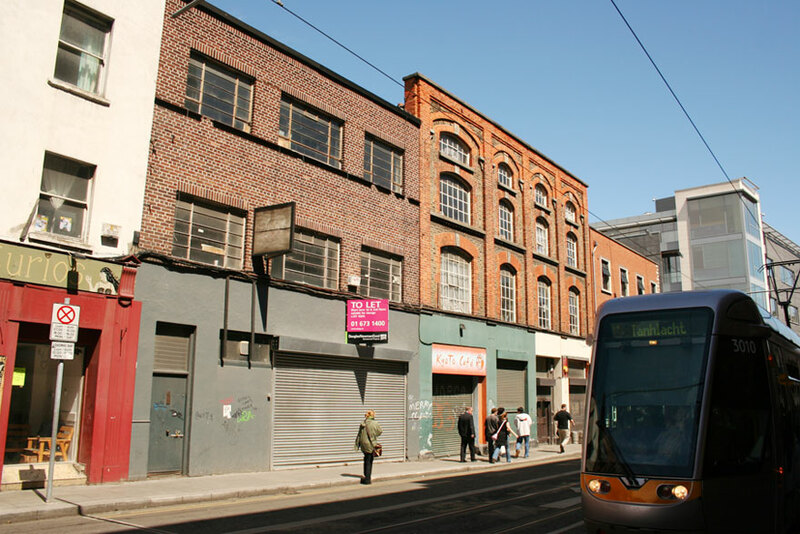 It is a paradox that in a city like Dublin, which is apparently enjoying great economic prosperity, not-for-profit and community-oriented groups must struggle every day to survive. Watch Indymedia for further developments. • Send us messages of support to: seomraspraoo [AT] gmail.com . If you are writing this on behalf of an organisation, you might want to do it on headed paper and send it to your postal address below. • If you or your organisation has knowledge, information, skills or resources in the relevant areas (legal, fire regulations etc. ), please contact us. Seomra Spraoi is seeking access to free or affordable legal advice or representation. • Meeting spaces: if you have a room in which we can hold meetings, either for free or a small fee, let us know. - Cheques can be made payable to "Seomra Spraoi" and sent to our postal address below. • Organise a fundraiser on our behalf. • Finally, please forward this Call For Support to other relevant groups or individuals. 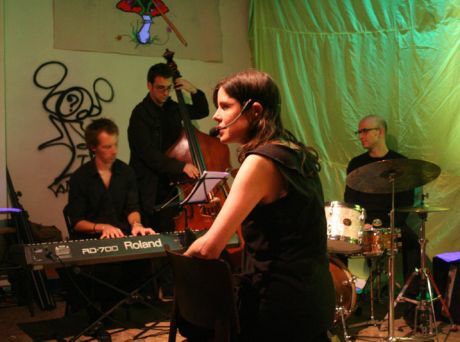 • In general, Seomra Spraoi is keen to work more closely with other collectives, community groups, NGOs etc. An architect friend suggests asking the Department of the Environment for advice. He says they can be helpful. So maybe try asking them to provide guidance re fire regulations to clarify the current ambiguity? Also, this same architect will be available to give advice from 9 January - away on a well-earned holiday right now. It's a few years since I worked in Health & Safety but my understanding is that a Health & Safety inspection can be carried out at anytime without prior notice. For full information check with the Health and Safety Authority. From my experience they are very helpful and can usually point you in the right direcetion. Health and Safety Law in Ireland is very stringent and all requirements are expected to be met in full. Following H&S law can be expensive as you may be required to provide sufficient fire and safety equipement, train a number of staff in First aid, fire safety and the use of safety equipment amongst other things. These requirements are usually dictated by the size of the organisation and how the property is to be used. Many fire safety companies give a free consultation so it may be worth a try. My understanding is that Fire Officers are required to give you a list of the areas which caused you to fail the inspection. However, in your case there does not seem to be anyone to receive the information. I understand that you don't like egalitarian structures but putting one down on paper does not mean that you have to follow it within your group. I really dont see a way around this. Also, if you choose to adopt a specific structure you will need to consider litigation factors. If anyone gets hurt on the premises or if an individual is deemed to have acted on behalf of the organisation, certain members may be open to litigation. Not exactly full of good news but my advice is to seek good professional advice even if you have to pay for it as it could save you a fortune in the long run. There is a number for free legal advice in Dublin and if you contact the Law society they should be able to provide you with it. Sorry to hear the chickenheads have momentarily disturbed your dreams, tenamos que ser optimistas!! Best of luck with your wonderful project! Any chance this article can be made a feature? While I would of course oppose the closure of Seomra Spraoi , this call for support and solidarity from the clique controlling the centre should be rejected. By their cavalier disregard for the safety of Seomrai Spraoi users ,the clique has provided the justification for its closure. The correct slogan should be “support the users of Seomra Spraoi”. The clique apologist who wrote this article has blurted out the truth : the controlling clique allowed the centre to be used for an after hours drinking “party” . They thereby put the lives of users at risk in an unregulated premises that could constitute a death trap.and are equally to blame for Seomra Spraoi’s closure . > want a person they can liaise with. ... in fact there are several people from the collective who have been in contact with the fire authorities, the city council, have been consulting lawyers, fire safety experts etc. The article above perhaps gives the impression that nobody is stepping forward to liaise with anyone. This is not the case. you see "the clique controlling the centre", i see a group of people who go to the bother of organising horizontally, having open meetings, giving regular call-outs for involvement, and making the idea of a social centre in ireland a reality. they are sacrificing their time for no financial gain and putting themselves in the firing line of nonconstructive criticisms like your own. "the clique controlling the centre" do the donkey work that allows the place to exist. It strikes me as ludicrous that the guards decided to call Health and Safety officers in considering there are plenty other organisations around the city in a far worse state. What are they afraid of? I'm sorry for those who regularly attend as the choice of free venues is limited. Firstly I am very curious as to why Seomra Spraoi are being asked to make these changes to the building any Health and Safety issues are a matter for the land lord. According to the article the report which closed the center has not been made available to Seomra Spraoi but surely it has been given to the landlord after all unless I am very much mistaken it is the landlord and only the landlord who can be prosecuted for Fire Safety violations. 1. Tell the guards that you are going to hold a public re-opening of the center unless they can provide a valid legal reason for not doing so, I would include the Fire Safety officer in on this one. 2. Nominate a single person who will deal with the Council/Garda on this issue they can be made answerable to the collective so there is no political issue there. 3. Contact all the councilors and ask for their support. The article which has been published here is very reasonable and should be easy to get support for. 4. NO MORE PARTIES. I am not having a go here but this is what sparked off the whole thing I think that everyone can agree that this is a community center and it is not an appropriate venue for parties. Minor fire safety issues can become fatal when large groups of people are involved. I think that Seomra Spraoi are being treated very unfairly here Prime Time did a documentary on Fire Safety regulations around the 25th Anniversary of the Stardust and there are a lot of places which have very serious Fire Safety issues. Did the space get opened again? The video is well edited and explains the ethos as being not for profit and offering alternative activities like child centered art and play. Fine. Agreed that commercial cafes charge high prices because of high rental and other overheads. Just bear in mind that "the collective" behind seomra spraoi has to continue existing in a money-defined society regardless of their ideological views about money and money making. Seomra spraoi money has to be managed, cash flow plans have to be made, awesome official paperwork has to be done with regard to legal questions, insurance and public safety. No farmer ever ran a henhouse on ideological speculation. You have to be practical about money matters. That's the way the world is. Best of luck with an interesting project. Yes this might be a good point. If you have people going there to just drink there cans is that really is an alternative ??? It is pretty bad that they would do this to you. They have no concept of art or culture. I mean why dont they just send you off to some concentration camp in Siberia !! or something, With your (empty) can of beer a broken paint brush and a poety book ? And give you a kick in the theeth! Or they could just cut out your tounge and eyeballs in case you might have a conversation or make freinds with someone! Or board up your windows! They have no right to censor art (or evan critcise such culture) be it a peice of music a poem or a painting or anything else. and they are not your peers! And this idea of someing haveing a conversation or meeting people? and siting on a chair! This is illegal now?? They have no right to bully you. Or to censor any ideas you may have. Or to censor you haveing any contact with any other person/s you may wish. There is nothing ilegal in your actions.! Just because the sometimes quite pressurised society is so concerned with "The kings good word" or his crowns i have no problem with that or money per se , but it should not infringe on your or anyone elses humane rights. Which are can be quite basic it seems. It is none of there buisness! or should it be to prohibit exchange of ideas! WIKIPEDIA ISNT A GOOD SOURCE. I WANT BEST SOURC IN ENGLISH.